What first-home buyers need to do to crack into the market in 2019. Price pullbacks in the Sydney and Melbourne property markets have created an opportunity for first-home buyers, particularly those with deposits ready. Values in most capitals are expected to remain relatively flat throughout 2019, with some cities anticipated to post moderate gains, according to Domain’s Property Price Forecast. That gives prospective purchasers something they haven’t had in years – breathing room to make decisions. First-timers are also facing less competition from investors, many of whom have left the market in response to tightened lending restrictions and reduced opportunity for short-term capital growth. This has created a window for first-home buyers to secure a home before price growth accelerates again. Domain spoke to six property market experts who shared their tips for first-home buyers looking to get a foot in the door in 2019. Real Estate Institute of NSW president Leanne Pilkington said changes to lending meant first-home buyers should initially seek to understand their borrowing power before going too far with their search. “What you were able to borrow six months ago is not what you’re able to borrow today,” she said. 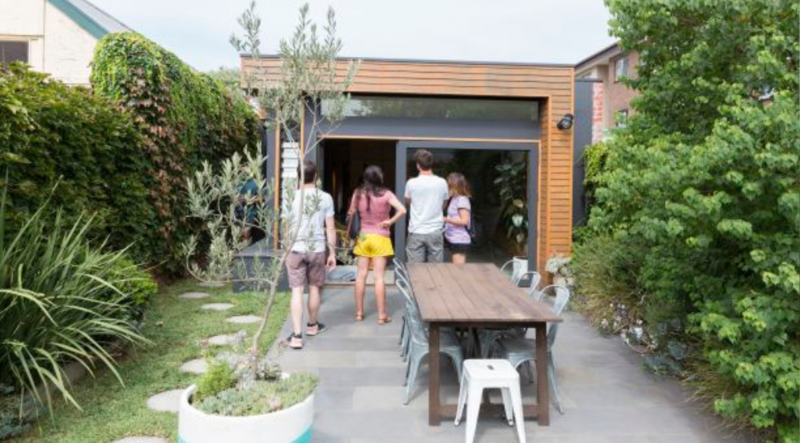 First-home buyers need not feel pressured to rush into the market, but shouldn’t expect prices to fall much further, according to Anna Porter, founder of property advisers Suburbanite. “They’re going to see some good buying power over the next couple of years in Sydney and Melbourne,” she said. “But if they’re waiting on the sidelines for a significant correction, it’s not likely to come back to that extent,” she said. Wakelin Property Advisory director Jarrod McCabe said first-home buyers were generally quite cautious, but should avoid paralysis by analysis. First-home buyers need to ensure the property they choose has the best prospects for growth. He said a good floor plan, natural light and outdoor space were key factors the home itself should have, while the suburb should have easy access to schools and transport. “If you’re going down the apartment path, it’s important to make sure you’re well located in term of access to amenities and public transport,” he said. According to McCabe, a car space is critical, whether buyers need it or not, because it’s a feature that future buyers would look for and therefore affects resale value. Apartments with parking have better growth prospects than those without. The Property Mentors chief executive Luke Harris said first-home buyers should be realistic, and shouldn’t expect their first purchase to be their dream home. Porter said first-home buyers should consider how long they would live in the property, as upgrading frequently can come with significant costs. Buyers need to ensure a home will meet their needs for several years to avoid paying high transactional costs too often. Property Planning Australia managing director David Johnston said in a downturn, the most desirable properties might be relatively insulated from further price falls. He said owner-occupiers often paid an “emotional premium” for a property that ticks all the boxes, provided it’s a long-term play. With fewer properties at auction and less transparency in the sales process, buyers need to avoid paying more than a property is worth, according to Harris. “People have paid far too much for their property and bought a property well beyond their means,” he said. McCabe said a downturn might mean lower prices, but it could also mean fewer high-quality properties are available, so buyers should resist bargains that turn out to be poor investments. Properties on busy roads are among those most heavily discounted in a downturn. Founder of Empower Wealth Ben Kingsley said buyers shouldn’t stretch their finances too far, as this creates a strain on household finances and may mean buyers need to pay lender’s mortgage insurance.